A seasoned patent attorney with experience in all aspects of IP including patents, IPRs, patent prosecution, litigation, licensing, portfolio management, strategic development and monetization. Bob Klinger’s intellectual property practice is marked by a dedication to integrity and an unwavering commitment to each client’s specific needs and commercial objectives. He is known for delivering excellent work product at a fair price. Accessible and genuine, Mr. Klinger’s counsel is focused on the balance of protection and preservation of his client’s intellectual property and bottom line. Over years of practice, his clients have continuously appreciated his unique perspective when it comes to developing intelligent yet practical IP strategies. In his third decade of practice, Mr. Klinger advises both large and small clients alike, ranging from major and high-profile global corporations to venture-capital backed start-ups. His counsel is truly comprehensive and involves all aspects of IP ownership, development and management including procuring, enforcing and monetizing large patent portfolios; offensive and defensive patent litigation; licensing, transactions and due diligence; and pre-IPO IP audits and opinions regarding patents, trademarks, copyrights and trade secrets. Mr. Klinger has prosecuted over a thousand U.S. and foreign patents, including reexaminations and reissues, as well as directed CAFC and European Patent Office hearings. 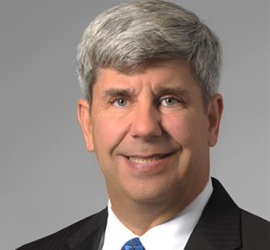 Spanning his career, he has also brokered more than $25 million worth of patents across a variety of industries and including patents covering PCI Express. In addition, his client, HangEase, was featured on the popular TV show Shark Tank, attracting investors Mark Cuban and Lori Greiner. Working with 5th grader Ryan Landis, the inventor of a collapsible hanger, Mr. Klinger assisted in securing a utility patent and trademark for the product, and advising Ryan on the successful placement of the product in a major U.S. retailer. Mr. Klinger has a vast technical expertise in electrical engineering, including semiconductor, software, telecommunications, computers, business methods/e-commerce, LED’s, solar energy, batteries, hand-held devices, hardware, medical devices, fiber optics, nanotechnology and MEMS, as well as the electro-mechanical and mechanical arts. Prior to joining Culhane Meadows, Mr. Klinger previously served as the founding and Managing Partner of the Richardson, Texas office of a 325 attorney, Texas-based law firm. As a result, he knows, from hands-on and personal experience, how to start, manage and grow an enterprise from the ground up, offering his clients invaluable perspective into the real challenges they face both owning and operating a business. Prior to his legal career, Mr. Klinger worked as a Senior Electrical/RF Design Engineer for Honeywell, Inc. At Honeywell, he designed defense communication systems, including advanced battlefield weapons and fire control systems. He is also a registered professional engineer.